Along with Armalite-platform rifles and entry-level bolt action rifles, the striker-fired 9mm Luger semi-automatic pistol category is a spectacularly crowded one. I've tested far too many to list here, but I'm tersely covering the Glock 17/19 series that I've used for decades, the Ruger SR9 and Ruger American, the Remington RP9, and the S & W MP9 M2.0. The Remington RP9 is the newest of the bunch. It is actually a very-well made, competent pistol with the allure of a lifetime warranty. I found a few niggles, though, the magazines are excessively wide for a 9mm with a large gap in front of the loaded rounds, and it balks with the flyweight loads (100 grain), though that is tnot highly unusual with a full-size 9mm that is +P rated. It scores well in the value department, very well indeed, but I do think that the upcoming RP45 will be the more desirable model. The 15+1 capacity of the RP45 is more interesting, to me, than the 18 round capacity of the RP9. 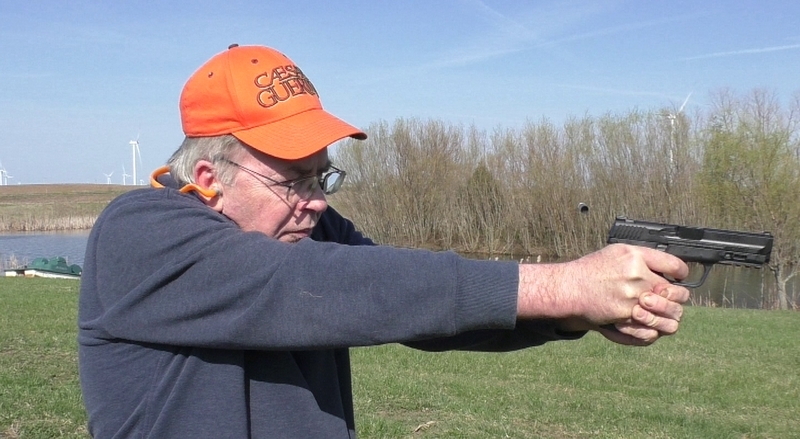 The early Ruger SR9's had truly horrid triggers, but that has been rectified. I have a particular personal disdain for external safety levers on a Glock-esque handgun, but I found the SR9 to be extremely soft-shooting and actually a better, more pleasant handgun (for me) than the Ruger American. The blocky Glock has been an outstandingly reliable self-defense implement, it set the standard and changed the industry for good. The Glock safe-action tab in the center of the trigger is copied by every firearm mentioned thus far. Beretta goes the same route with their new APX striker-fired 9mm. The S&W MP9 M2.0 has a trigger with no flap or wing in the center and I prefer it. I think it is S&W's best pistol to date and it is the pistol that smacks the Glock: less blocky, better handling, no finger wells on the front of the grip, a whopping four different grip backstraps, with a spectacularly good stippled surface to the gripping area. The tilt-barrel (Browning) design does not promote great accuracy compared to more rigid, fixed barreled designs. Pistols are individuals just as much as rifles and shotguns and accuracy is contingent on the ammo. Yet, all of these examples are capable of 2 – 4 inch 25 yard accuracy, in the 2 inch area with what they like to be fed. However, no one uses a Ransom rest for self-defense that I know of and 25 yards is not a self-defense range in many precincts. Although “accuracy” is a perpetual topic, you won't find much in the way of accuracy guarantees on handguns. Though “MOA” accuracy is trendy in rifles, MOA @ 25 yards is 0.26175 inches and 9mm pistols are not generally capable. My most-used hunting handgun is a scoped Ruger Super Redhawk .44 Remington Magnum revolver that groups inside 1-1/2 inch at 100 yards with 240 grain Hornady XTP rounds to cite but one example. While I have no qualms whatsoever about the build quality and durability of the Ruger American, I do appreciate the easy dis-assembly, the trigger is excellent, and little tidbits like not having to dryfire the pistol to disassemble it are niceties, if a matter of trivia. I'm left with a less than stellar feeling about the gun. It isn't the accuracy, for it is essentially a three inch 25 yard gun with the right ammo, a far greater distance than what most would consider self-defense. The problem is the grip, it is just too wide, and not comfortable. By direct comparison, the Ruger SR-9 (that I've been shooting for six years by now) is about a quarter pound lighter, yet far softer-shooting. While both of these handguns are full-size “service pistol” envelope guns, the SR-9 is slimmer, lighter, and a lot more comfortable and just plain fun to shoot. Right now, you can get the RP9 for $339 or even less. There is a glut of firearms on the market presently, making it a buyer's market like I've not seen in the last decade. It is a credible first effort by Remington: it would be negligent to fail to note that the Glock 17 has been out for 35 years, the new S&W MP9 has seen its recent major face-lift after a decade, so I would expect a level of refinement in the RP9 as time goes by. As is, I'm not a fan of the excessive gap in the magazines, but I have no functional issues to report. While certainly not my favorite 9mm, it is bargain-priced with clean machining, effortless take-down, and a massive beaver-tail that eliminates any chance of slide-bite. The new M&P9 M2.0 addresses most everything that I personally don't care for in the Glock: it has steel magazines, not plastic, no finger ridges in the front of the grip, no flap in the center of the trigger, a far better stippled texture all around the grip, and the four backstraps that make it easy to find the fit most shooters are looking for. To show how things have progressed, the Hi-Power (still in production) weighs 2 lbs., and has an MSRP of $1119.99. While the French wanted a 15 round magazine in 1921, 17 rounds has long been standard capacity today, and the S&W MP9 weighs a pleasant, by comparison, 24.7 ounces. The conclusion here is a modest one. We are fortunate, today, to have such a wide selection of pistols to choose from, at very attractive prices. The Sig Sauer P320 deserves a mention, though it is not covered here, as on January 19, 2017, it was announced that the SIG Sauer P320 MHS won the United States Military's Modular Handgun System trials. The P320 is the “M17” in U.S. Military service. Some readers of course identify with pistols more as “lifestyle brands” than others. That's a path that I've never subscribed to. While pistols may be touted as fitting 80%, 90%, or 95% of all individuals, that still leaves a goodly number of folks that they do not fit. It is always good to try before you buy, and a fun session at the range of your local pro shop will often quickly reveal not what is the mythical best, but far more importantly, what is best for you, and your unique set of applications. There is a winner, in my personal terms, and that is the S&W MP9 M2.0. It is the first 9mm handgun in many, many years, that has left me completely satisfied and is good enough for me to finally retire my Glocks. It is unlikely that you will be forced, as a last resort, to use a firearm on a human to save a life. I've been in that situation only once, it worked, and I'm glad I had a pistol and so was my wife. It happened to be a Makarov .380 at the time and it was more than good enough to get the job done. As a nightstand gun and for fun at the range, the S&W MP9 M2.0 hits the mark in all the right places. It may or may not be your vision of the ideal full-sized 9mm as it is mine, but it is well worth anyone's consideration.